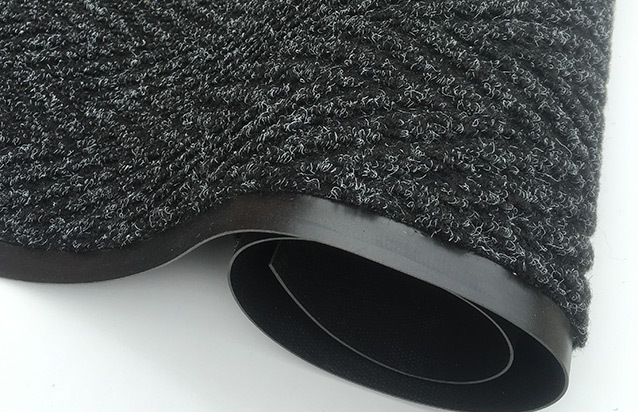 Entrance Mat – Mat Wells, Recesses or Loose Laid on top of the surface. 100% solution – dyed polypropylene. Vinyl base. 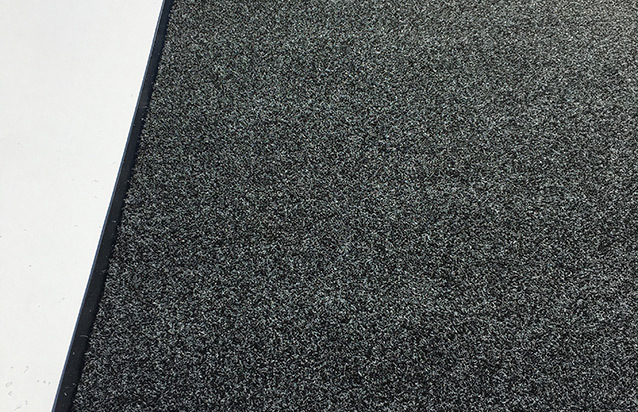 Extremely course fibres, excellent water absobtion, quick drying time, flame resistant, UV stable and can be easily swept, vacuumed or hosed down. 25mm standard factory vinyl border. Heavy duty bullnose edging may also be applied. 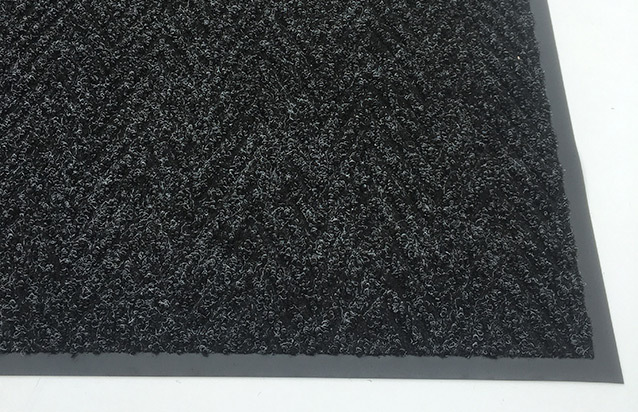 The Chevron entrance mat herringbone pattern dirt barrier design is extremely effective, attractive and a very popular item mostly for indoor entrances and foyers. 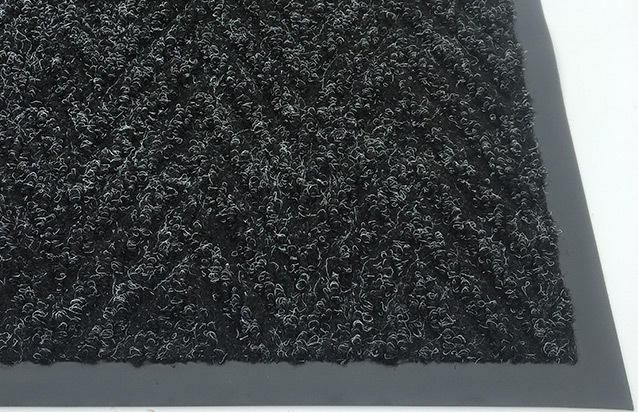 Extremely course fibres and two level construction deflect dirt into sunken channels. Excellent water absorption and dries very quickly. Best suit to heavy traffic entrances . Chevron comes in a range of colors that especially compliment older herritage buildings. Chevron can be vacuumed, easily swept or hosed down.